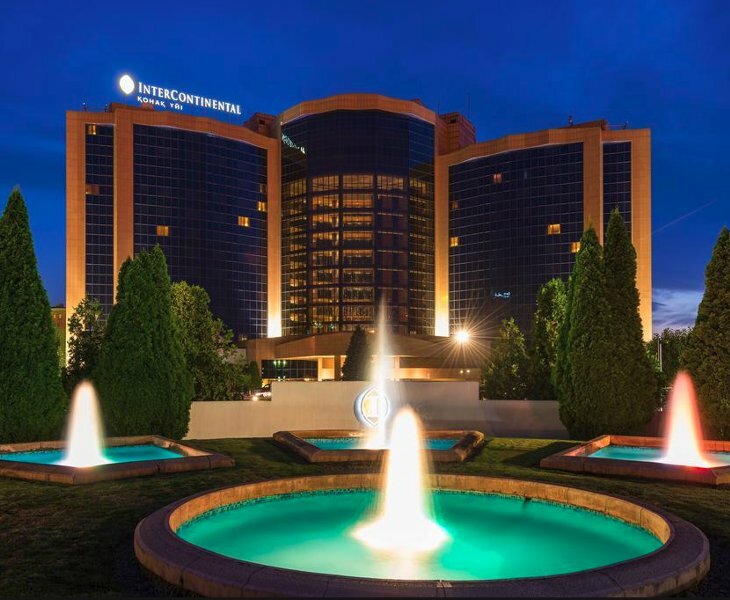 The InterContinental Hotel is located in the heart of the city of Almaty in a picturesque park zone with huge fountains. Beautiful views to Zaylisky Alatau will open to guests from windows in each room. The 5-star hotel offers guests several amenities including bars, restaurants, shops, cafe’s and more! The level of comfort of guests rooms completely conforms to the high American and European quality standards. 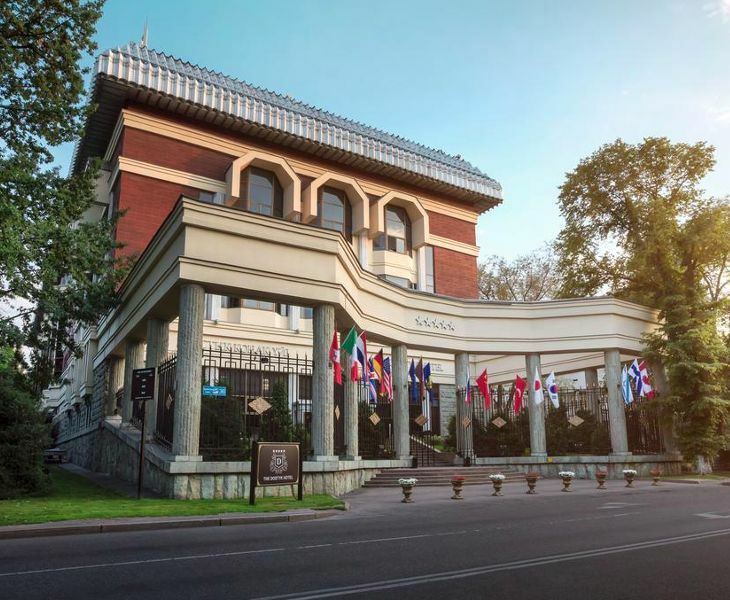 The Dostyk Hotel is located in the heart of Almaty near important businesses, administrative, and cultural centers. While staying in the elite “Gold Square” district of the city, you can’t help but feel the spirit and old traditions of the most beautiful city in Kazakhstan. This is the historical center, retaining and preserving the spirit of the former Almaty. The Dostyk Hotel, as the architectural monument protected by law, is one of the valuable and unique symbols of Almaty’s past. A unique historical monument in the city of Almaty, the Kazakhstan Hotel is a triumph of design and engineering of the 20th century architects and builders. Architectural individualism of the hotel continues the achievements of modern civilization with traditional hospitality of the Kazakh people. The 26-story building was the decoration of Almaty and the symbol of Kazakhstan, with windows opening to the breathtaking panoramas of snow-covered peaks of Zailysky Alatau. 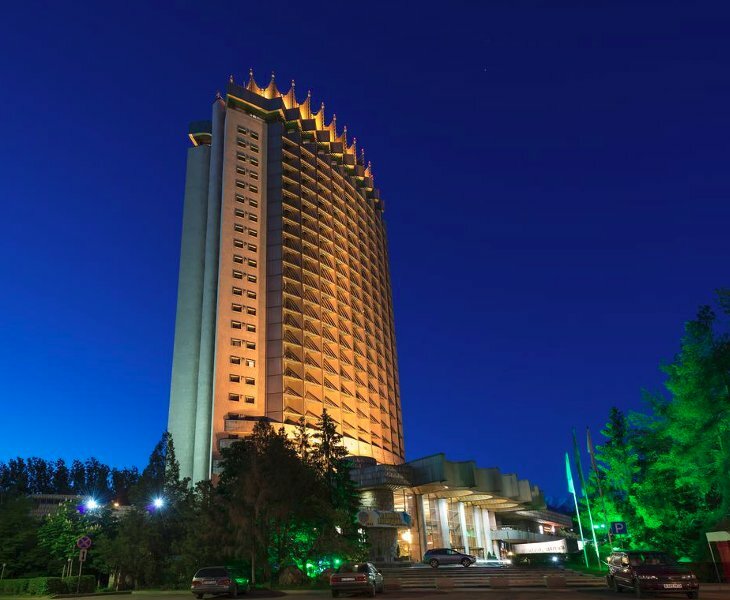 The Kazakhstan Hotel complex is considered one of the best vacation spots in Almaty, offering maximum comfort, superb service, and great cuisine at an affordable price. 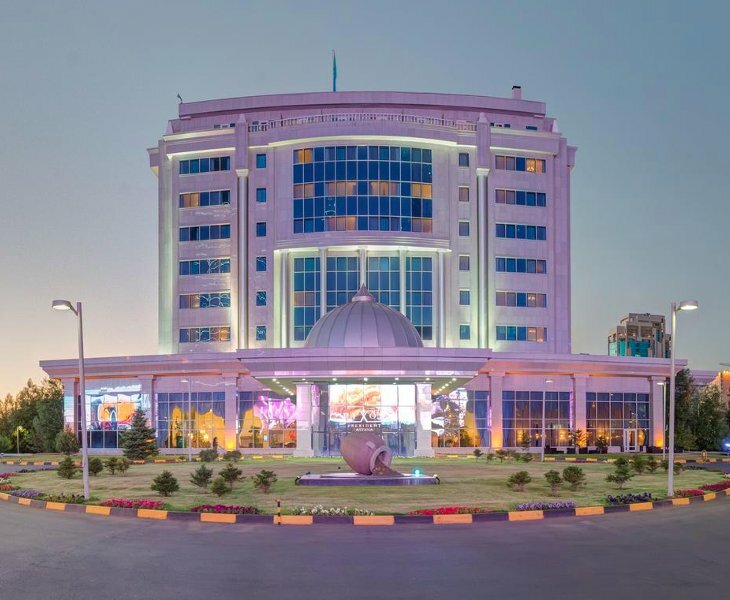 Located in the capital city of Kazakhstan, Rixos President Astana Hotel is near the new administrative and business centers of Astana. Offering luxurious accommodations and a convenient location, the Rixos Present Astana Hotel reshapes luxury and comfort with excellent service. This distinctive and elegant property is the best the city of Astana has to offer in luxurious accommodations. 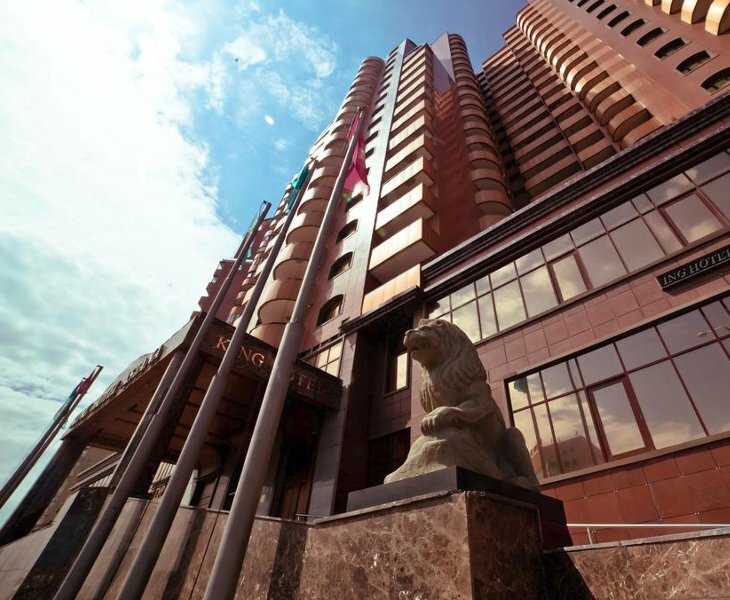 King Hotel is located in the historic district of Astana, offering warm hospitality and quality service and amenities. In addition to a daily breakfast buffet, the hotel offers casual dining in the Saddaf Restaurant. Enjoy the comforts of home at the King Hotel while traveling to Astana for either business or vacation.